DEFINITION of “Autonomous” = acting independently or having the freedom to do so. Self-governing; Independent; Without rule. They’ve been argued on the floor of the United Nations & there’s an international organization to stop their progress: https://www.StopKillerRobots.org/. Military funding for development has increased and some of the country’s smartest people are cautiously issuing warnings. Are the dystopian futures portrayed by countless Science Fiction books and movies–where humankind is taken over by the machines it created–coming true? The moral & ethical implications are considerable as we contemplate a future with consequences made by decision makers. Autonomous weapons systems select and engage targets without human intervention; they become lethal when those targets include humans. LAWS might include, for example, armed quadcopters that can search for and eliminate enemy combatants in a city, but do not include cruise missiles or remotely piloted drones for which humans make all targeting decisions. The UN has held three major meetings in Geneva under the auspices of the Convention on Certain Conventional Weapons, or CCW, to discuss the possibility of a treaty banning autonomous weapons. There is at present broad agreement on the need for “meaningful human control” over selection of targets and decisions to apply deadly force. Much work remains to be done on refining the necessary definitions and identifying exactly what should or should not be included in any proposed treaty. Meanwhile, technology moves on. For example, the DARPA CODE program (Collaborative Operations in Denied Environments) is described by its program manager as developing aerial vehicles that operate “just as wolves hunt in coordinated packs with minimal communication”. Autonomous weapons, which use artificial intelligence to select targets without human intervention, have been described as “the third revolution in warfare, after gunpowder and nuclear arms”, about 1,000 scientists, academics and entrepreneurs wrote in an open letter. “The deployment of such systems is – practically if not legally – feasible within YEARS, not decades,” the letter said. Killer Robots & Autonomous Lethal Weapons Resources– Media, Publications, etc. Davos considers killer robots, Campaign to Stop Killer Robots, January 24, 2015. Appearance on the ED Show, MSNBC, discussing autonomous weapons, February 18, 2015. Stuart Russell, Artificial Intelligence: Implications for Autonomous Weapons, address to the United Nations meeting on Lethal Autonomous Weapons Systems, Geneva, April 13, 2015. Social Responsibility of Robot Manufacturers and the AI community, podcast interview by Noel Sharkey, International Committee for Robot Arms Control, Geneva, April 14, 2015. Rise of robotic killing machines has a cautious world talking, by Brooks Mencher, San Francisco Chronicle, April 23, 2015. Second UN meeting on killer robots, by the Campaign to Stop Killer Robots, May 7, 2015. Stuart Russell, Take a stand on AI weapons, Nature, 521(7553), May 28, 2015. US ‘paving the way’ to AI warfare, Sky News, May 27, 2015. Killer Robots Need Regulation, Expert Warns, by Tanya Lewis, LiveScience, May 27, 2015. Scientist warns humans could be defenceless ‘against deadly drones’ within a decade, ITV News, May 27, 2015. Killer Drones With AI Will Leave Humankind ‘Utterly Defenceless’ Warns Expert, Thomas Tamblyn, Huffington Post, May 28, 2015. Killer Drones And Artificial Intelligence Is A Recipe For Disaster For Humans, Rhodi Lee, Tech Times, May 28, 2015. 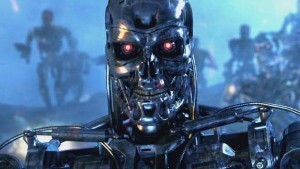 Artificial intelligence expert sounds alarm on robots that can kill, Radio National Breakfast, Australian Broadcasting Corporation, May 28, 2015. Humans will be left ‘defenceless’ by killer drones: Flying AI robots pose a serious threat to our lives, expert warns, by Jonathan O’Callaghan, Daily Mail, May 28, 2015. Killer robots will leave humans ‘utterly defenceless’ warns Professor, by Sarah Knapton, Daily Telegraph, May 28, 2015. Beyond drone warfare: Prof warns of `automated killing machines’, Public Affairs, UC Berkeley, May 28, 2015. Killer robots ‘would leave humanity defenceless’, Michael Rundle, Wired UK, May 28, 2015. What Might A Killerbot Arms Race Look Like?, Erik Sofge, Popular Science, May 28, 2015. The debate on lethal robots is starting too late, Russell Brandom, The Verge, May 29, 2015. La tercera revolucion en el arte de la guerra, Javier Sampedro, El Pais, June 2, 2015. A.I. Expert Sounds Alarm Over ‘Killer Robots’, by Macrina Cooper-White, Huffington Post, June 3, 2015. Robotic weapons systems raise ethical concerns, by Peggy Hollinger, Financial Times, June 12, 2015. Stuart Russell and almost 20,000 others so far, Autonomous Weapons: an Open Letter from AI & Robotics Researchers, July 28, 2015. List of 1,812 news articles about the open letter, in 41 languages, compiled by Robert Pattillo of Human Rights Watch. Tech Experts Warn Of Artificial Intelligence Arms Race In Open Letter, interview by Audie Cornish, All Things Considered, National Public Radio, July 28, 2015. AI experts call for autonomous weapons to be banned, Article 36 (UK NGO), July 28, 2015. Artificial intelligence experts call for ban, Campaign to Stop Killer Robots, July 28, 2015. Scientists warn over a possible artificial intelligence arms race, interview by Al Jazeera, July 29, 2015. A very serious issue lies behind the “killer robots” mockery, by Karlin Lillington, Irish Times, July 30, 2015. Ban autonomous weapons, urge AI experts including Hawking, Musk and Wozniak , by Luke Westaway, CNET, July 27, 2015. Elon Musk, Stephen Hawking, and thousands of AI researchers just issued a warning about killer robots, by Rob Price, Business InsiderJuly 27, 2015. Hawking, Musk, Wozniak: Ban Artificially Intelligent, Autonomous Weapons in War, by Lauren Walker, Newsweek, July 27, 2015. LAWS: An Open Letter from AI & Robotics Experts, by Frank Sauer, International Committee for Robot Arms Control, July 28, 2015. 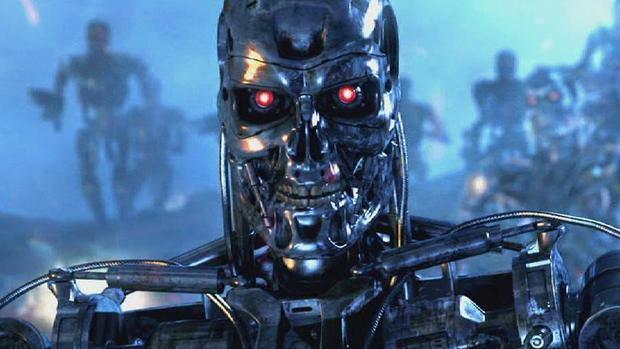 Leading Experts Sign an Open Letter Calling For a Ban On AI Weapons, by George Dvorsky, IO9, July 27, 2015. Many of the World’s Top Tech Experts Want to Ban Super-Intelligent ‘Autonomous Weapons’, VICE News, July 27, 2015. Musk, Hawking, and Chomsky warn of impending robot wars fueled by AI, by James Vincent, The Verge, July 27, 2015. Musk, Hawking, Chomsky: Why they want a ban on killer robots, by Jessica Mendoza, Christian Science Monitor, July 27, 2015. Musk, Wozniak and Hawking urge ban on warfare AI and autonomous weapons, by Samuel Gibbs, The Guardian, July 27, 2015. The Scientists and Technologists Who Want To Keep AI Out of Weapons, by Mike Murphy, Defense One, July 27, 2015. US Drone Pilots Are As Skeptical of Autonomy As Are Stephen Hawking and Elon Musk , by Patrick Tucker, Defense One, July 27, 2015. CNAS Press Note: The Open Letter on the Dangers of Autonomous Weapons, by Paul Scharre, Center for a New American Security, July 29, 2015. Stuart Russell, Max Tegmark, and Toby Walsh, Why We Really Should Ban Autonomous Weapons: A Response [to Ackerman], IEEE Spectrum, August 3, 2015. Artificial intelligence community comes together in unprecedented numbers to call for a ban on AI-controlled weaponry, by Alex Hern, The Guardian, 30 July, 2015. A nightmare the world has no cause to invent, main editorial, Financial Times, August 4, 2015. UC Berkeley Professor Leads Call for Ban on Autonomous Weapons, interview of Stuart Russell by Michael Krasny, Forum on KQED, August 5, 2015. A Ban on Autonomous Killer Robots Is Inevitable, by Erik Sofge, Popular Science, August 5, 2015. Stuart Russell, Max Tegmark, and Toby Walsh, Why we really should ban autonomous weapons: A response [to Wallace], Kurzweil AI Blog, August 10, 2015. Here’s the argument for banning killer robots before we’re swarmed by them, by Joel Achenbach, Washington Post, August 21, 2015. Stuart Russell, Hiroshima et Nagasaki: Des leçons pour le présent et pour l’avenir, Le Monde, August 7, 2015. Stuart Russell, Ban lethal autonomous weapons, Boston Globe, September 8, 2015. Stuart Russell (UC Berkeley), Paul Scharre (Senior Fellow, Center for a New American Security), Missy Ryan (Washington Post), September 14, 2015. Stuart Russell, An Open Letter from Artificial Intelligence and Robotics Researchers, talk at CITRIS Day 2015, October 13, 2015. Schrecklich perfekte Krieger (Terribly Perfect Weapons), interview by Piotr Heller, Frankfurter Allgemeine Sonntagszeitung, October 18, 2015. World Economic Forum, January 17, 2016.
panel session moderated by Michael Duffy, World Economic Forum, January 21, 2016. Also on youtube. Experts on killer robots at Davos, Campaign to Stop Killer Robots, January 22, 2016. How to prepare for killer robots, by Alanna Petroff, CNN, January 21, 2016. Davos disruptors: Rogue robots, gene weapons, by Arjun Kharpal, CNBC, January 21, 2016. Stop killer robots before it’s too late, by Victoria Wollaston, Daily Mail, January 22, 2016. Stop killer robots before it is too late, scientists tell Davos forum, by Michel Sailhan, phys.org, January 22, 2016. Delegates at Davos held a meeting about the dangers of autonomous ‘killer robots’, by Doug Bolton, The Independent, January 25, 2016. It is Time We Considered a Ban on Autonomous Weapons, by John Birks, The Monitor Daily, January 25, 2016. Scientists Urge World to Stop Killer Robots at Davos, Agence France Presse, January 22, 2016. Nations Must Address Threat of Robotic Weaponry ‘by 2018’, by Gwen Ackerman, Bloomberg News, January 21, 2016. If killer robots arrive, the Terminator will be the least of our problems, by Matt McFarland, Washington Post, January 25, 2016. Report Cites Dangers of Autonomous Weapons, by John Markoff, New York Times, February 28, 2016. Autonomous weapons and operational risk, by Paul Scharre, Center for a New American Security, February 28, 2016. Veil of secrecy lifted on Pentagon office planning “Avatar” fighters and drone swarms, by Dan Lamothe, Washington Post, March 8, 2016. Sustaining the Third Offset Strategy in the Next Administration, by Shawn Brimley and Loren DeJonge Schulman, War on the Rocks, March 15, 2016.